I have a pocket watch, made by Hamilton in 1905. 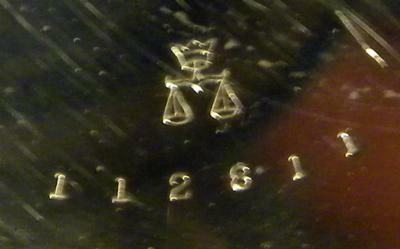 The hallmark is a scale (nothing between the scales) with a crown on top. Attached is a picture. Just wondering what this means. thanks for any help.